Did I mention just how much I love cardboard crafts? While I'm nowhere near professional, there's nothing more fun than creating with cardboard. 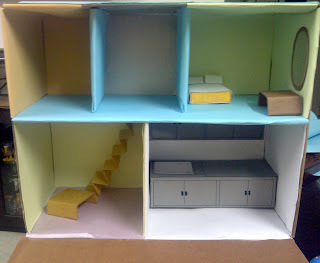 This of course being a dolls' house for a friend's child. More furniture to be made. Right now, it's all in my head.